The Noorvik Parka from Ayacucho combines stylish details with the best practical features for autumn and winter. Whether you are off for a walk in the woods or on your way to work, the cold doesn't stand a chance, thanks to this jacket’s pleasantly warm lining. 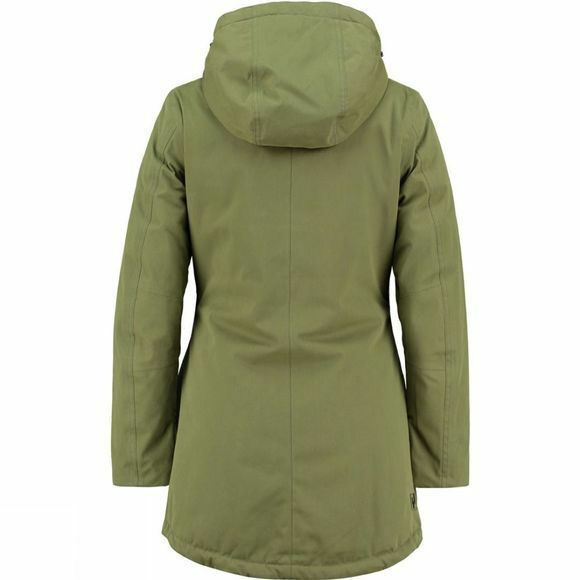 The parka has a waterproof membrane and the seams are fully taped. The two zipped pockets and internal pocket, which also has a zip fastening, offer versatile storage options. 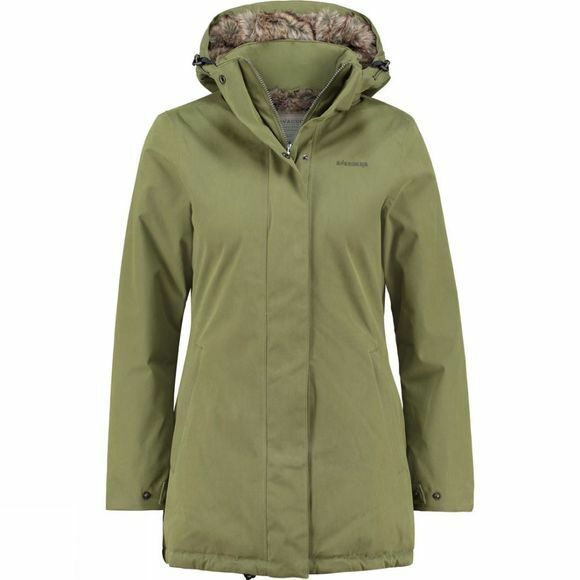 The hood is adjustable, and its pre-shaped peak ensures optimum visibility when you're on the move. The faux fur on the shoulders, and in the hood and collar, provides additional warmth and an on-trend appearance. All set for winter!